Artifi, a SaaS-based product configurator for eCommerce websites, is pleased to announce that a new case study featuring one of its customers has been published at ArtifiLabs.com. The case study shows the results of Wristband Resources implementation of Artifi Labs as their product personalization solution. Wristband Resources is a leading US-based manufacturer and marketer of wristband identification products. In business for over 20 years, the company is known throughout the industry as a leader in product quality, customer service and innovation. When facing additional development costs associated with moving away from its existing flash software, Wristband Resources began to evaluate options for the future of its product customization configurator. Specifically, the company was looking to invest in a software-as-a-service (SaaS) product customization configurator because it would allow them to add product customization functionality without having to invest in internal development. 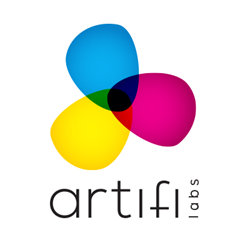 Artifi™ is a SaaS-based product customization engine for eCommerce that allows users to visually personalize any product. Artifi is built on HTML5 framework, offers unlimited scale, is fully responsive, and integrates with any eCommerce platform. To schedule a demo visit http://www.artifilabs.com or call 855-927-8434 or email info(at)artifilabs(dot)com.